This webcast talk will discuss how logs and stream-processing can form a backbone for data flow, ETL, and real-time data processing. It will describe the challenges and lessons learned as LinkedIn built out its real-time data subscription and processing infrastructure. It will also discuss the role of real-time processing and its relationship to offline processing frameworks such as MapReduce. 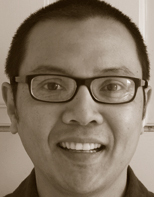 Ben Lorica is the Chief Data Scientist and Director of Content Strategy for Data at O'Reilly Media, Inc.. He has applied Business Intelligence, Data Mining, Machine Learning and Statistical Analysis in a variety of settings including Direct Marketing, Consumer and Market Research, Targeted Advertising, Text Mining, and Financial Engineering. His background includes stints with an investment management company, internet startups, and financial services. 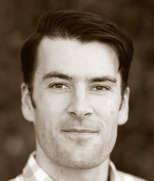 He writes regularly about Big Data and Data Science on the O'Reilly Data blog.